It seems you’ve got the wrong idea about electric vehicles. But don’t worry, we’re here to present the facts. The Aussie weekend is not in danger, as you suggested. EVs can tow boats and caravans. They are strong, can travel long distances with a single charge and they’re also becoming increasingly affordable. Here’s a refresher on the wonderful world of EVs. Firstly, electric vehicles are strong. Anything that weighs up to 130 tonnes, really. Even better still, other electric SUV and 4WD models are currently in development, increasing the range of choice for EVs with towing abilities, with some models set to enter the market next year. There are at least eight models of EVs on the market that can travel more than 300 km in a single charge, with the furthest travelling over 500 km. This means it’s likely your kids will need to stop for a wee-break before your EV runs out of charge. So, you should have no problem hitting the highway for your summer road trip, getting from A to B with a similar amount of stops as your old petrol guzzling cruiser. 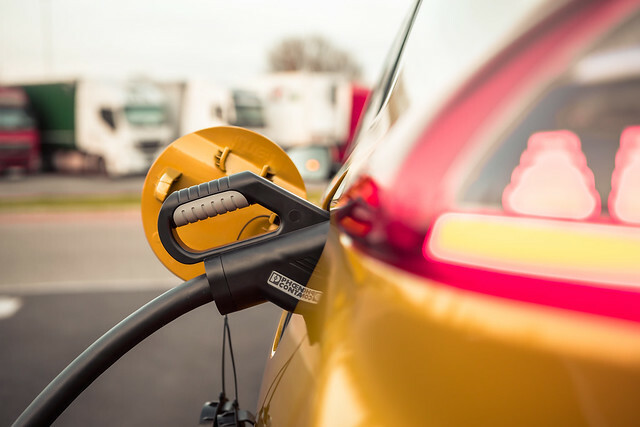 And, when you do need a top-up, an ultra-rapid charger can provide a range of up to 400 kilometres worth of charge in just fifteen minutes. If you’re still not convinced by the strength, reliability or convenience of electric vehicles, I’m sure the dollar signs in your eyes will light up when I tell you they’re becoming more and more affordable for Australians. With advancements in technology and a growing global demand, additional models of electric vehicles are set to hit Australian show rooms in 2020, bringing prices down even further. In fact, by 2025, EVs will be cheaper than polluting cars in Australia. And overseas, where demand for electric vehicles is greater, even cheaper models are being produced. A Chinese company recently announced a new EV model that costs just US$10,000. Labor’s proposed EV policy includes a target of 50 per cent of new government car purchases and leases to be electric by 2025, which would aid in the creation of a second-hand market for EVs within the next decade, resulting in substantially reduced prices. Once you’ve got your hands on an EV, it’s also significantly cheaper to run than its carbon-emitting cousin. Charging an electric vehicle with electricity costs around half as much as the cost of the fuel needed to run an equivalent petrol car. Saving around 50% on your ‘fuel’ costs is a big win for Australian families. Australia has been stuck in the slow lane when it comes to EVs for far too long. Transport is Australia’s third largest source of greenhouse gas pollution, contributing to almost 20 percent of our emissions. It is vital we continue to make electric vehicles more accessible and convenient for Australians, to curb our pollution and have a real impact on climate change. But it’s important to note that increasing our EV uptake won’t come at a cost to our weekends, our road trips, or our outdoor culture. We hope this has cleared up any confusion around EVs. If you need some more clarification, here’s an EV fact sheet.